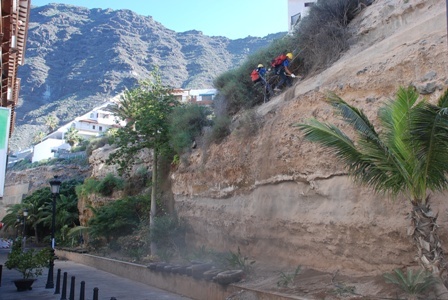 Work has started clearing loose stones and rubble from the cliff on the beach road in Los Gigantes. The beach road was closed to the public a few weeks ago when more smaller rock falls occurred. The results of the work will form part of a geotechnical study to decide how best to protect the beach from further rock falls.